A patio space is great for any home, offering you a place to relax when there’s sunny weather, spark up the barbeque and sit out to enjoy your garden. Having a patio area does not only offer an entertainment space for the family, but can also increase the value of your home and the interest from potential buyers if you put the property on the market. And, if your patio is looking a little tired, there are a number of ways that you can spruce it up for the coming summer. Firstly, the weather can take its toll on patios of even the highest quality. It’s therefore important to take time to repair damage at the beginning of each year to ensure that faults are fixed as quickly as possible, and do not worsen. Giving your patio a sweep with a stiff brush is important to remove debris that may have penetrated the cracks, or moss, which may have started to grow, instantly making any area look better. Mortar can crumble during the winter as frost works its way into the material. Taking the time to dig out and replace grout is advised and will instantly improve the look of a patio, providing a clean and fresh look. Utilising a pressure washer or scrubbing the area with a brush can also make a huge difference to your patio’s appeal, and a simple clean and tidy can quickly make any area appear almost as good as new. You can also renovate your patio by incorporating garden furniture, adding extra elements to the design to bring the entire concept of an outdoor living space together. The size of the space and what you want to use the patio for will determine what kinds of garden furniture you should buy. A small deck where you want to simply sit with a morning coffee and read the paper can benefit hugely from a two-seater table and chairs, offering a sense of seclusion and intimacy. If you want to entertain guests, then you can indulge yourself and buy a large outside dining set, lounge chairs or even a patio sofa set which will allow guests to enjoy your outside space on warm summer evenings. There’s nothing better for bringing a patio to life than by adding some pot plants. 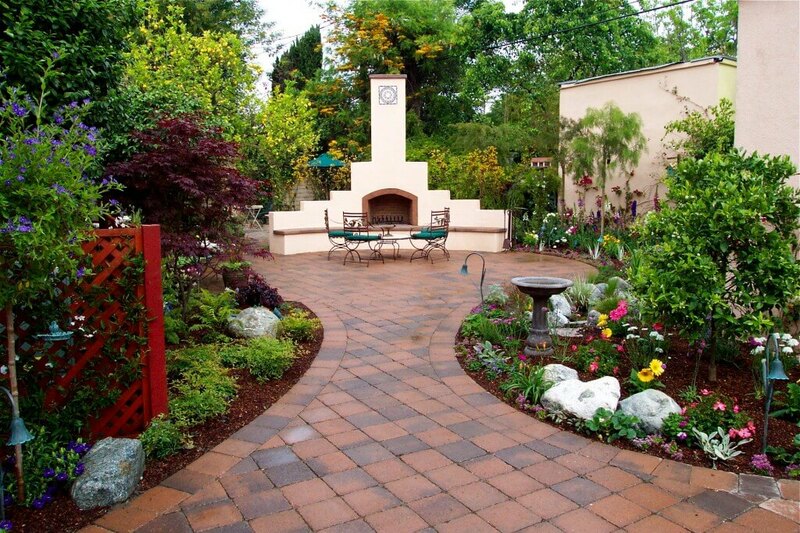 A patio area should be full of garden life to help incorporate it into a luscious garden setting. By bringing some flowers and colourful foliage onto your patio, it’ll be even more appealing to both look at and indulge in. Adding lights to your patio will ensure that you can use it long into the summer nights. You can use candles, solar lights or even electric illuminations to create a great atmosphere to light your patio space whatever the weather. Previous articleWhat Flooring Would You Have In Your Bathroom?